Okay, who is going this year? The event has been moved to Anaheim Stadium, and takes place on April 14, 2019. I'm registered and looking forward to it. This year I will be packing a cooler with snacks and drinks because the $16 stale hamburger, bag of chips, and 20 oz soda was no deal last year. I'll probably be arriving in Southern Calif on the evening of the 12th, prepping the car on the 13th after driving almost 500 miles from southern AZ, and then off to the show on Sunday. I'm headed there as well! I can't wait to see the new venue. Supposedly spectator parking will also be much easier this year which makes it easy for the crowd coming to check out the cars. I heard that Ford will also do ride-along drives in some new vehicles they are bringing. I'm headed there as well! I am attending, but not with my car as it isn’t roadworthy for some time. I have family flying in from Washington State and Montana to attend. The show is becoming a semi-regular family gathering. I am attending but not with Mustang. 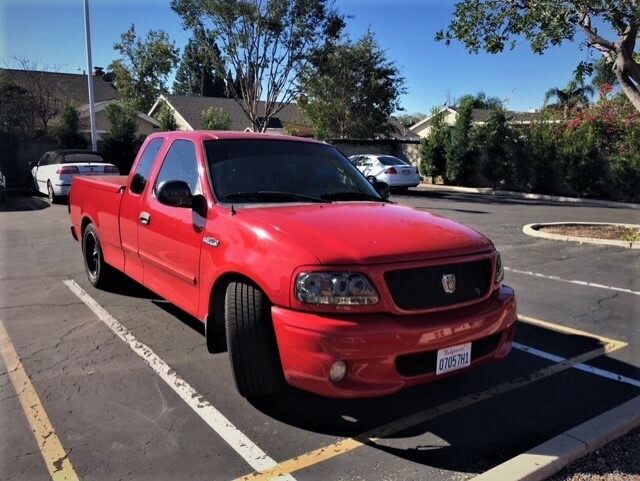 I will be in the truck area with my 2003 F150. Yes! I'll be bringing the Mustang and am really looking forward to this show. I had to miss it last year as there was just way too much going on at the time but everything looks good to attend this time around. I live in San Clemente, so while it's a bit of a haul I know I'll get no sympathy from those coming from AZ and further! Where did you live while in OC? Hey Keith--I saw your car at the LA Classic Autoshow a few weeks ago but didn't see you there. Hopefully we'll bump into each other at FFF. Lee - you might want to check in with the Stangfix guys (the crew I hang with at HAN) - a bunch of them typically congregate there every year. There has been some confusion this year over where everyone should stay and what events to pursue over the weekend (besides the show) since it's been moved. I'd like to make it out but it's the same weekend as the TXVMF Bluebonnet Cruise and also the Lone Star Roundup here, so I'll be staying in the Lone Start State You'll have to let me know how the new venue turns out! I going to go as a spectator this year. I’m curious if the parking will be free or if they are going to charge normal (10-20) for parking. Dont see any mention of that anywhere. Anybody know? It's a long (1 mile) drive for me . I might take my '66 Shelby as so few real ones show up anymore. '66 GT350H-3 time cover car - Car Craft July'77,Modified Mustangs and Fords Feb2011 ( w/article), Mustang Monthly June 2014. Bracket raced by me for the last 44 years. Yes it is a real one. It is free parking for spectators. Bring it! I definitely would like to see it. I spend more time looking at the classic cars than the "used car lot" of the 2005+ Mustang section. 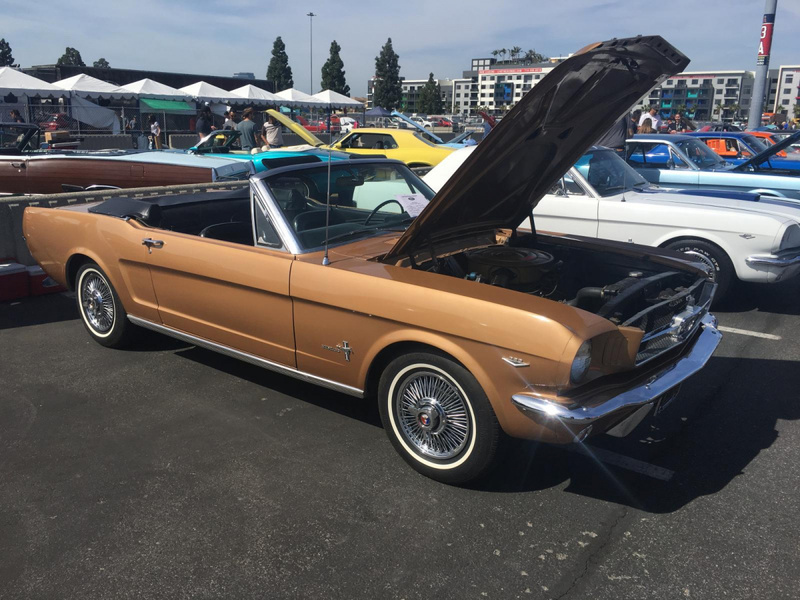 I'll be headed out to Anaheim in about 15 minutes and will be parked with the 65/66 Mustangs. Come over and say "hello" if you get a chance.